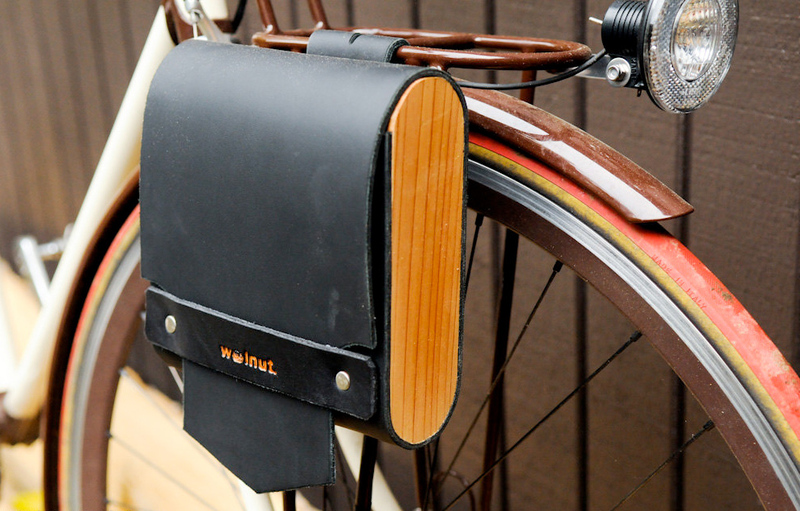 A stylish and aromatic leather and cedar pannier for your bicycle, wider than the “small” listing. 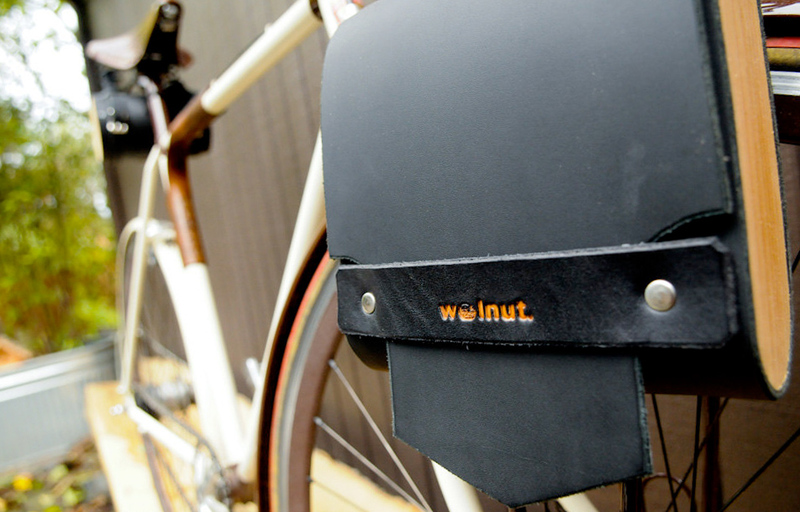 Named “the pocket pannier”, this side bag is designed to hold the contents of your pockets during a ride. 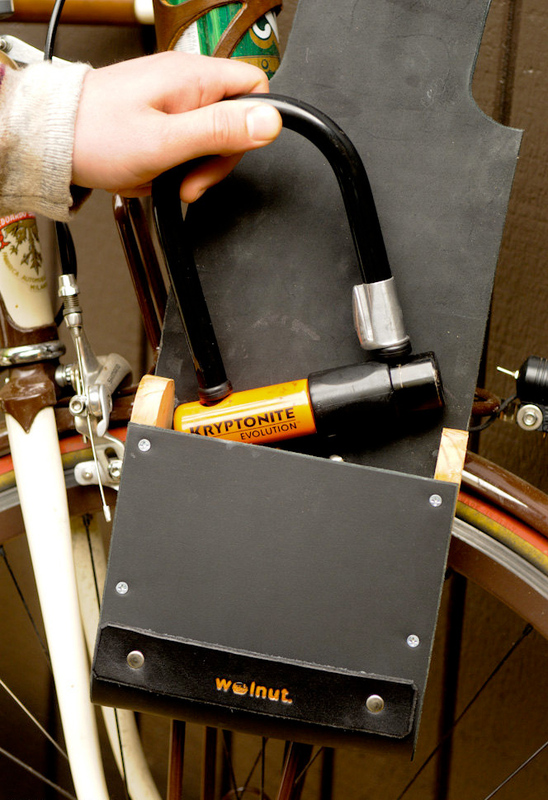 The large size is big enough to hold the Kryptonite Mini U-lock. (The small size listing is easily big enough for your wallet, keys, and a cell phone with a little room to spare.) Hand-finished thick and stiff leather is wrapped around aromatic (and sustainably harvested) Northwest cedar side panels. The clean, modern design and rounded geometric shape were designed for function. Rounded on the bottom so nothing gets stuck in a lost corner and rounded on the top to create a tighter closure that’s a more natural form for the leather. The top loop wraps around the rim of the rack and is 2 1/4″ wide and secured to the pannier with Chicago screws. An adjustable belt on the back of the pannier loops around the vertical struts of the rack.The cedar is hand finished using a natural beeswax and lemon oil wood preserver. The leather is hand-finished using a combination process including neatsfoot oil and dye. My design was road tested by riders on the East and West Coast (thanks, Pops!) and the contents hold secure. Made with love in my workshop in Portland, Oregon.